It's a pleasure to welcome you to Liturgical Song, a new publisher of Australian sacred music launched in 2016. 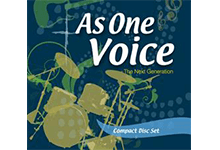 Liturgical Song features the catalogue of contemporary musical settings of the Mass, "psalm-tune" settings of the responsorial psalms, and various other hymns and songs for liturgy composed by Paul Mason. Liturgical Song is also looking to broaden collaboration with other composers, publishers and recording artists, as well as partnering with retailers and agencies. Our objective is to significantly improve the available resources and support to pastoral musicians in Australia, New Zealand and beyond. Plan - strategic: repertoire, hymnals and copyright; tactical: music ministry development; operational: liturgical song suggestions. The priority for the redevelopment of the liturgicalsong.com website has focused on providing a much improved shopping experience. The other areas (Learn and Plan) are also being redeveloped in coming months to update the information provided, taking advantage of insights into the revised General Instruction of the Roman Missal (2010), recent research on Musicam Sacram (Vatican II's Instruction on Music in the Liturgy), and the launch of the new Catholic Worship Book II hymnal (2016). For more information about Liturgical Song, its offerings and experience, go to About Us.